Through years of experience, ENGworks knows as construction nears completion, a drop in the level of attention to detail regarding documentation occurs. Owners often receive disconnected documents, specifications, and/or equipment manuals; additionally, they receive semi-accurate construction documents and electronic models to which the documents pertain. This information is then processed to various degrees of effectiveness and placed into a system used for Facility Management. Not surprisingly, many of these models are electronic versions of completely disjointed information. As a result, BIM fails to deliver as intended. ENGworks has developed methods through which proper documentation is gathered, verified, and processed. This information is available to the user through a customized proprietary web-based environment, ensuring the owner has global accessibility. The Owner or Facility Manager will have full access to a simple yet powerful virtual building model containing relevant information to manage property, building systems, and components for the life of the facility. 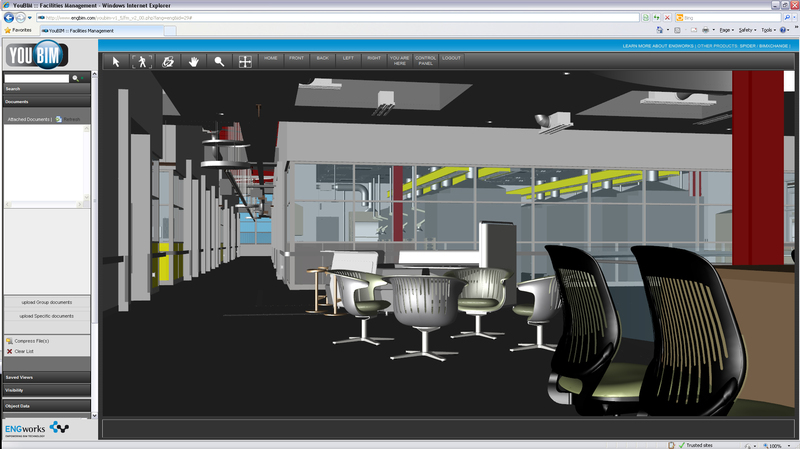 For more information about our BIM to FM product & service, YouBIM, click here.